My migraine headaches come with dramatic changes in the weather such as Chinooks. Is there anything that can be done to help this? First thing you need to understand is that the chinooks and weather changes are not typically the cause of people’s headaches, they are a stressor to the body and the symptom (headache) is a side effect of the problem. If the chinooks and weather changes caused peoples headaches then the majority of the population would experience a headache when the weather changes dramatically. Your body is intelligent, it’s always trying to balance out the pressure in the skull by changing the flow of blood and cerebrospinal fluid. People with headaches/migraines sometimes have problems draining of blood from the head. So when you have rapid/dramatic changes in barometric pressure and your body is having difficulty keeping up to the change, your headache may be a result of the body’s inability to adapt. The balance of the head and neck, the balance of muscle tone, dietary factors and blood pressure imbalances may be the cause of these types of headaches. An assessment with a trained NUCCA doctor will help you understand whether or not any of those 4 factors are causing your headaches and how to best address the problem. My headaches seem to get worse when I get stressed out at work and it feels like a band of tightness that wraps around my head. Is there anything that can be done to help this type of headache? The type of headache being described may be a tension headache. There could be many causes to this type of headache. There could be a problem with the balance of your head and neck. Your ergonomic position at work may be creating too much tension in your shoulders and neck or your stress levels at work could be creating a muscular tension response. The first step is to try modifying the things you can do on your own, check the ergonomic position of your desk. (Are your arm rests too high? Do you have to reach your arms forward throughout the day to do the majority of your activities? Is your head turned for long periods?) The second thing to check is what times, people, situations are creating stress for you and try to think of ways you can mitigate those stresses. One technique that I have found useful over the years to help myself and my patients manage their stress is called “rule of 7’s breathing”. The way it works is you breathe in for 7 secs, out for 7 secs, 7 times. This technique engages a part of your nervous system called the parasympathetic response, it helps relax your muscles and slows down your heart rate, if you use this technique you should notice some relief in your muscular tension. If you have tried the above methods and do not notice relief then it is likely a structural problem. Schedule an assessment with a trained NUCCA doctor to see if they can help. Who can benefit from NUCCA Chiropractic? Most people seek out NUCCA because they are experiencing postural problems or pain such as headaches, neck pain, jaw pain, scoliosis… and they are looking for a solution that they haven’t found yet after trying the traditional healthcare or Alternative Healthcare systems. People also search out NUCCA because they were told that they need to see a chiropractor to fix their neck, but they are scared to try traditional methods of treatment and are looking for a gentle solution to their neck problems. The NUCCA procedure is a gentle adjustment to the upper neck based off of measurements of x-rays from 3 different dimensions to figure out what is the most optimal way to correct the balance of your head and neck. The reason why this balance is important to your health is because the position of your head and neck is one of the main drivers of your posture. The head is heavy, if at some point in your life you have a fall an accident or trauma which displaces this relationship (and you don’t get it fixed), your muscles will respond to the change in position of your head and neck by creating asymmetry in muscle tone throughout your body. This change in tone creates more stress throughout every motion you take and eventually this stress builds up and a side effect of this prolonged imbalance is pain. So people who benefit most from this treatment are people who have an imbalance in their posture and who are having dysfunction or pain as a result. So how do I know if I have this problem? If you are experiencing any of the above mentioned symptoms they may be an indication that you have a problem, most people however, have difficulty seeing their postural distortion because they do not have a frame of reference to measure it by. So the best way to figure out whether you have a problem is to have your posture checked by a trained NUCCA doctor. What can I expect after my NUCCA chiropractic adjustment? How is NUCCA chiropractic different from 'regular' chiropractic? 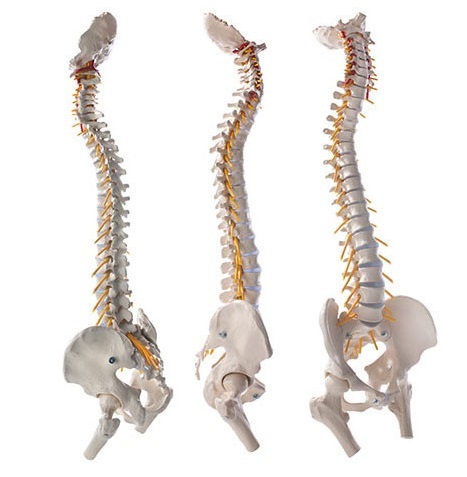 Chiropractors generally approach the spine in two different ways. The majority of chiropractors adjust or attempt to influence the spine in areas of fixation to increase mobility and hope for improved structural balance. NUCCA, as well as a few other chiropractic techniques approach the spine with the intention of attempting to improve structural balance, and hope for improved spinal mobility. As a chiropractic profession we all agree that both are important, but we approach the solution from opposite directions. How can I tell if I need a NUCCA chiropractic adjustment? Your posture is the biggest indicator of whether or not you need an adjustment. By paying attention to your body, you may become more sensitive to whether or not you are in alignment. Although some rely on the return of their symptoms to tell them when they’ve lost their alignment, we recommend patients to pay attention to their reflection in the mirror; paying attention to head tilt or a low shoulder for example. Other cues may include where they feel their weight distributed on their feet, or if a change in gait is observed. More subtle indications may even include having to adjust your car rear view and side mirrors. Even with all of these clues, it is still recommended that periodic assessments with a trained NUCCA practitioner should be performed to verify proper balance. What can cause me to lose my alignment in the first place? Falls, accidents, traumas, stress, repetitive stresses… there are a lot of environmental factors that our body has to deal with on a regular basis that can affect our balance. Most of the times when we experience falls, accidents or traumas to our body, we judge our response by how we feel immediately after the event without thinking of the longer term influence. Our posture is a fantastic indicator of our structural and muscular health. If you notice that it is more difficult to sit up straight, you notice you have more tension in your body or minor aches or pains with activities that did not bug you before this may be an indication that your alignment has shifted. An assessment with a trained NUCCA practitioner is recommended if you suspect your posture is out of alignment.